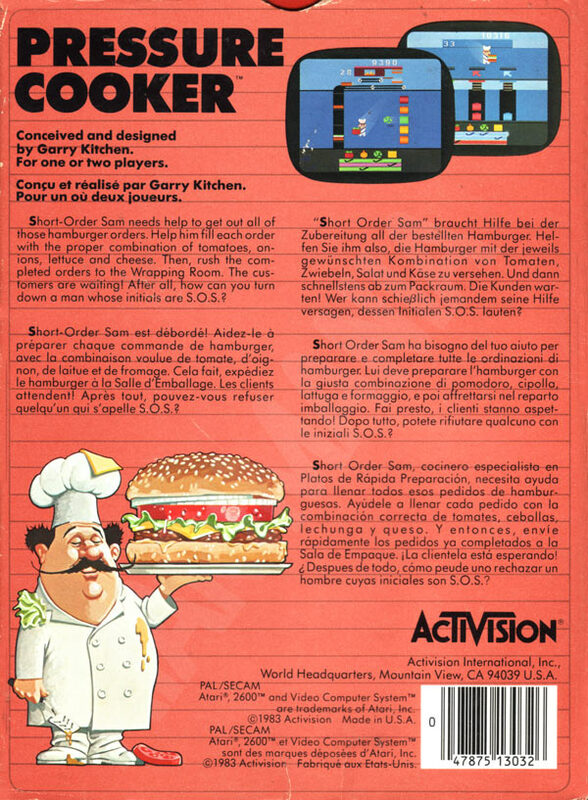 Atari 2600 "Guru" Garry Kitchen pays respect to his last name with this creation. 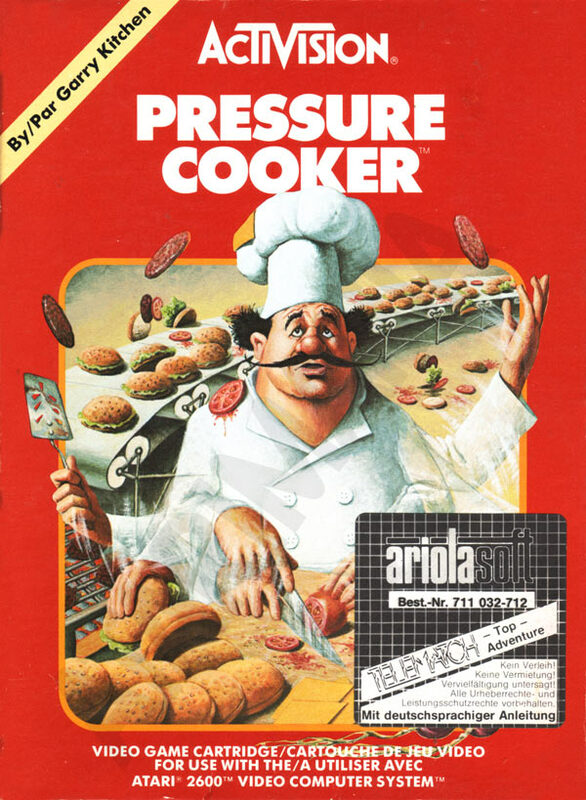 You are a cook in the kitchen of a hamburger restaurant. You have to please the different orders of plus you have to put them into the correct delivery box. The grafix are neat and colorful. Everything is easy to identify and the game is also a mind challenge to create the ordered stuff in time. 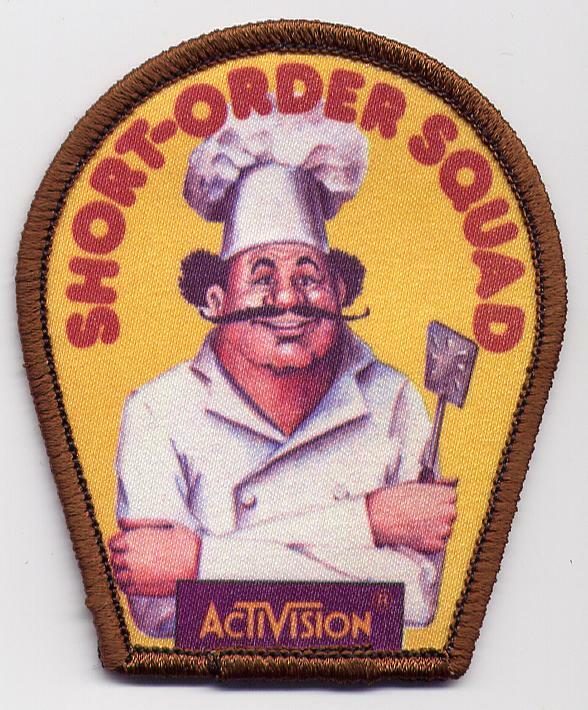 Far better then "Piece o´cake". 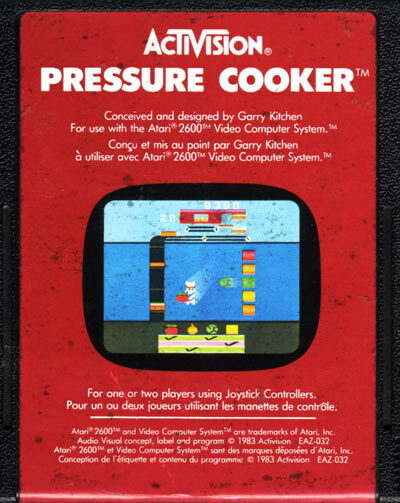 The cook’s graphics were designed so that when he is facing left, you can make out the letter K (for programmer Garry Kitchen) on his body.